7.4V 2200mAh 20C LIPO AEG Nunchuck Battery |ReplicaAirguns.ca | New Website! Comments: Don’t let your airsoft rifle die on the field! 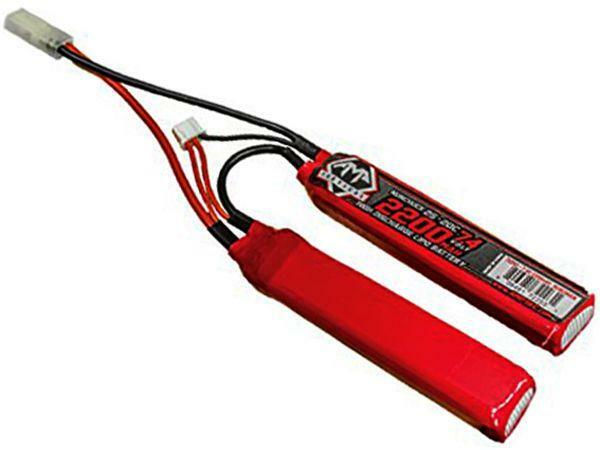 Power it with this 7.4V 2200mAh 20C LIPO AEG Nunchuck Battery. The battery can be wired easily inside a compatible crane stock. Its high discharge rate makes it a solidly performing tactical battery option.